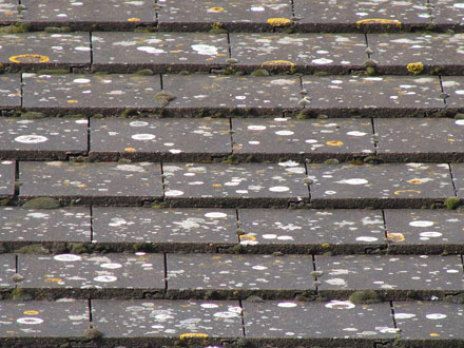 A Biofilm forms when certain microorganisms adhere to a surface in a moist environment and begin to reproduce. 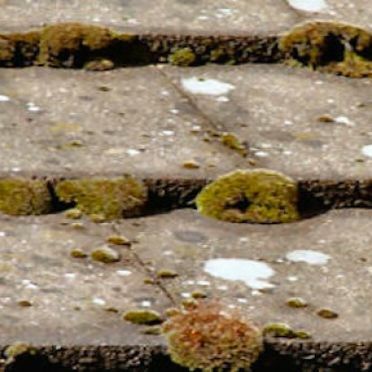 Biofilm formation on surfaces usually starts with phototrophic organisms (algae, cyanobacteria) which use carbon dioxide (CO2) from the atmosphere and sunlight as their carbon and energy source. Heterotrophic organisms (most bacteria and all fungi) need some organic source for their growth, and this is provided by the metabolites of phototrophic organisms or by airborne deposition. almost always consist of mixtures of many species of bacteria, as well as fungi, algae, yeasts, protozoa, and other microorganisms, along with non-living debris and corrosion products. All biofilm forming microorganisms may cause biodeterioration and degrade stone or render mechanically, chemically and aesthetically through the metabolic activities and biomineralization process in these biofilms. 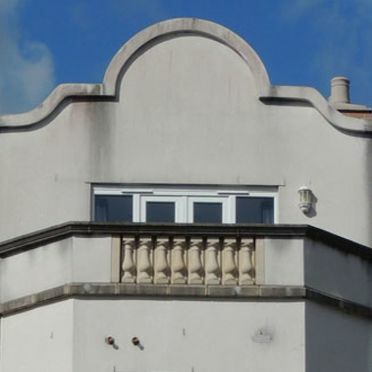 The porosity of the surface, it's mineral composition, alkalinity and it's ability to retain air borne sea salts creates an environment favourable to the settlement of microrganisms. 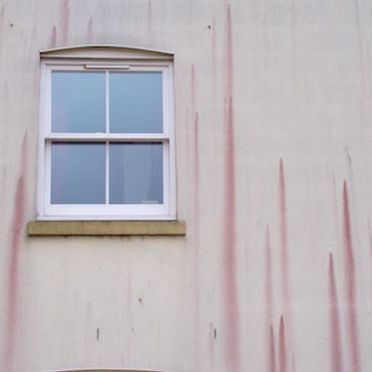 Studies on biofilms, along with their potential damage to a range of substrates, has led to investigations of a range of building substrates, coatings etc. 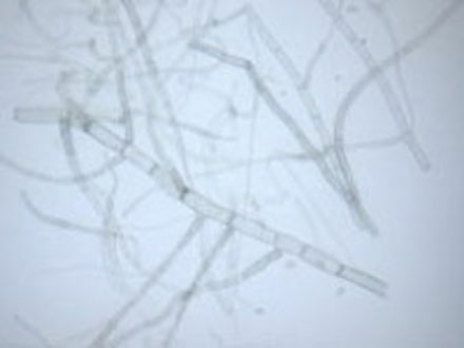 It is apparent that some species, in particular pigment-producing fungi (Alternaria, Penicillium, Aspergillus), can lead to deterioration of appearance which, even after removal of the species itself, can be difficult to remove. 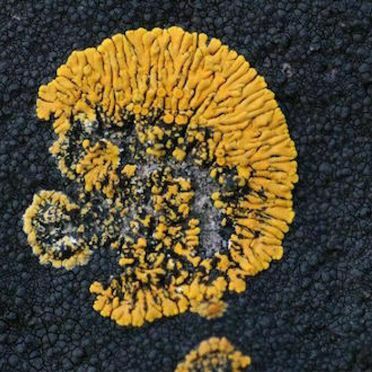 Other species such as algae and lichens are also very brightly coloured and can rapidly develop and spoil the appearance of surfaces. 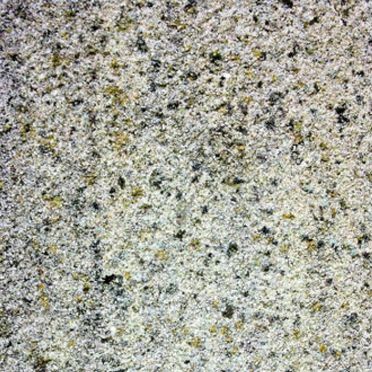 Phototrophic microorganisms (algae, cyanobacteria) can grow on stone surfaces or may penetrate the pore system of the stone itself. 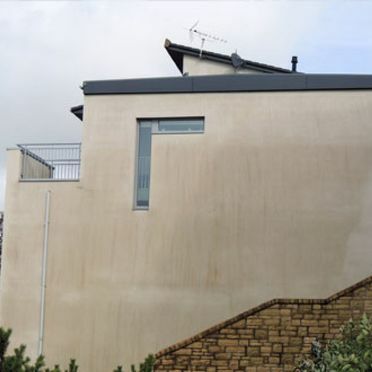 Phototrophic microorganisms have a direct effect on the deterioration of stone due to their pigments which cause an aesthetically detrimental effect. Filamentous cyanobacteria (Nostoc sp, Leptolyngbia sp., Stigonema ocellatum) and green algae (Desmococcus olivaceus and Haemaotococcus pluvialis) are capable of forming dense mucous-like layers on surfaces which produce characteristic colourations on the substrata. Nostoc. 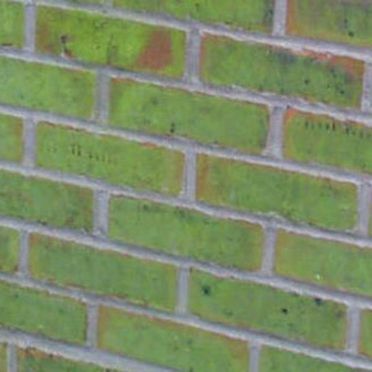 sp can produce blackish-green pigmentation which leaches into the substrate on which it is growing. 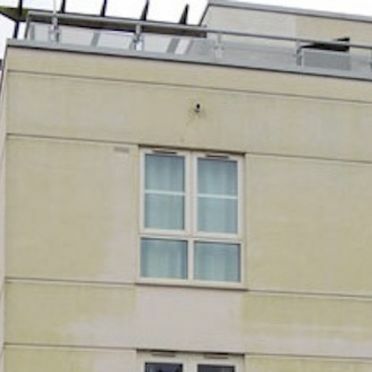 The algal species Desmococcus olivaceus produces bright green colouration of buildings as shown below. 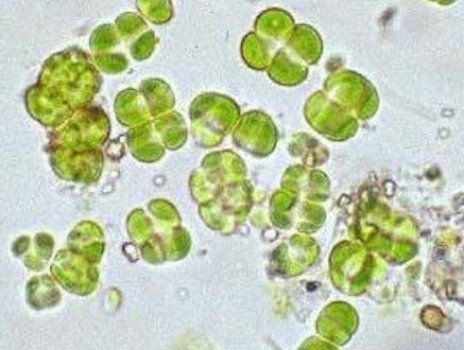 The genus Trentepohlia would not, at first glance, be taken as a green alga. 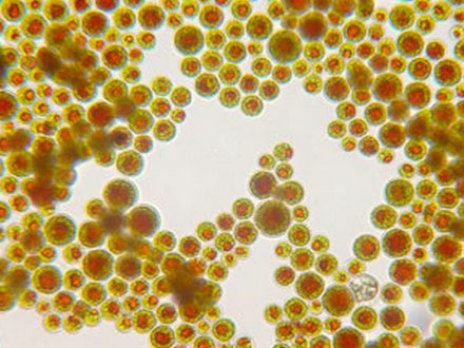 Free-living species are mostly yellow to bright orange or red-brown in colour, due to the orange pigment, haematochrome (β-carotene), which usually hides the green of the chlorophyll. 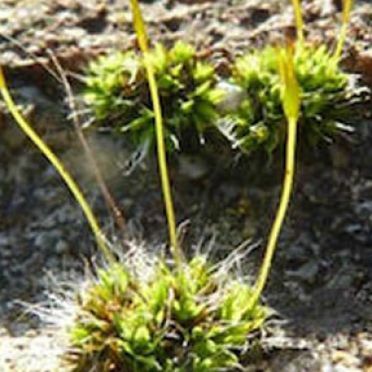 The genus is terrestrial and is often found in Europe on rocks, walls and tree bark. 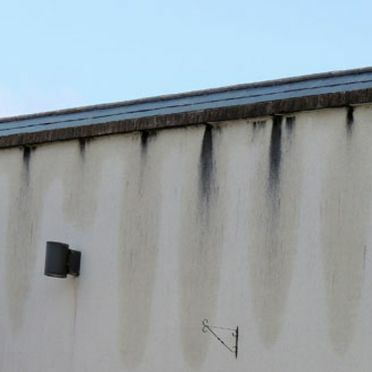 Where they are found on buildings, they can cause severe mechanical degradation and deterioration. 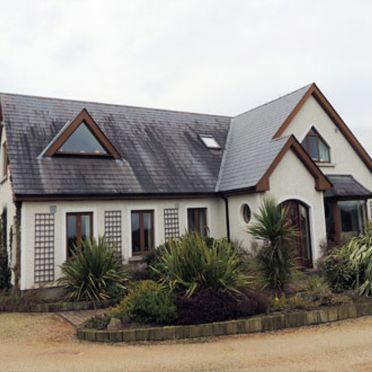 Fabio Rindi and Michael D. Guiry (2002) have identified five species of the genera Trentepohlia and Printzina in urban habitats in Western Ireland: Trentepohlia abietina (Flotow) Hansgirg, T.aurea (Linnaeus) Martius, T. iolithus (Linnaeus) Wallroth, T.cf.umbrina (Kützing) Bornet, andPrintzina lagenifera (Hildebrandt) Thompson et Wujek. These species formed perennial populations on a variety of substrata. 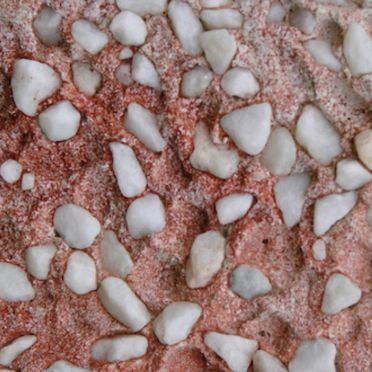 Of the species identified, T.aurea and T.iolithus were found on old concrete and cement walls; in particular, the latter species formed characteristic, extensive, deep-red patches on many buildings. 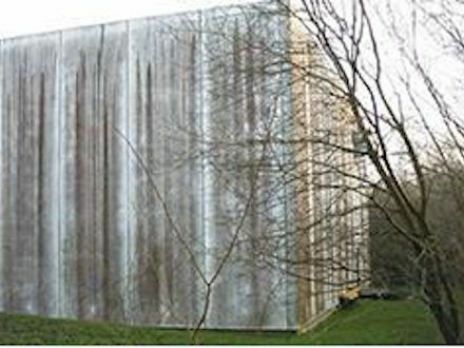 Western Ireland is a cold temperate area with high levels of rainfall and humidity. This area therefore supports a high level of rich and diversified algal flora. 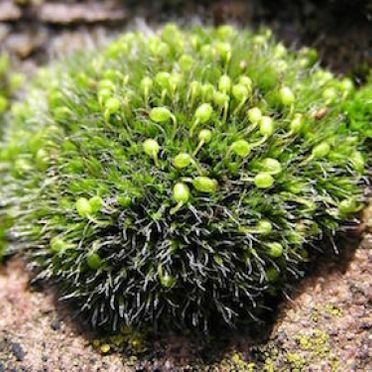 Trentepholia have been identified as one of the most common species to be isolated from walls and buildings in this region (Rindi, Guiry 2002). 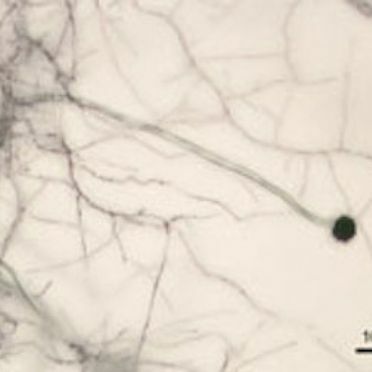 Chemoorganotrophic fungi are especially concentrated in stone crusts. They are able to penetrate into the rock material by hyphal growth and by biocorrosive activity, due to the excretion of organic acids or by the oxidation of mineral forming cations, preferably iron and manganese. 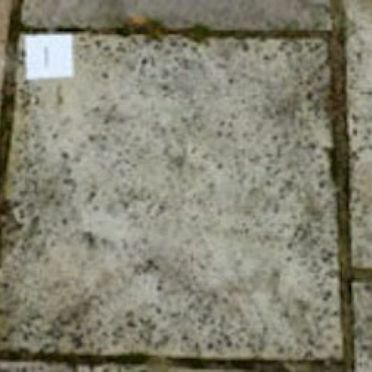 This can often leave a rust-like stain on paving slabs even after washing. 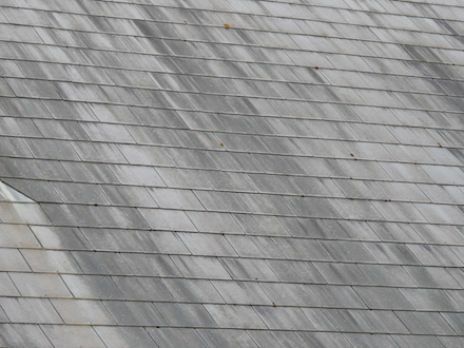 The deterioration activities of dematiaceous fungi also include the discolouration of stone surfaces, due to the excretion of dark pigmented melanin. 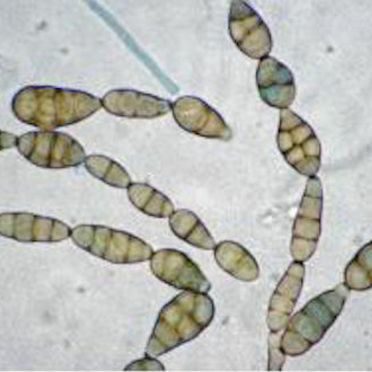 Species capable of such staining are Alternaria, Aureobasidium, Cladosporium and Penicillium spp. 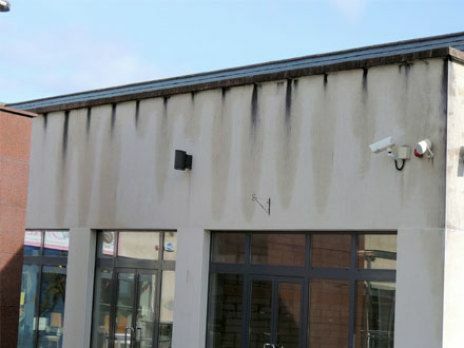 The photographs below show a building wall covered with fungal growth (identified as Alternaria) sp. 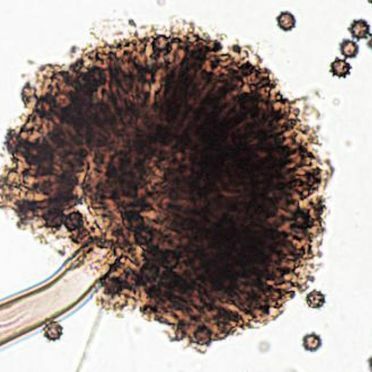 The microscopic images show the development of fungal hyphae and on close-up, the pigmented spores can be seen. 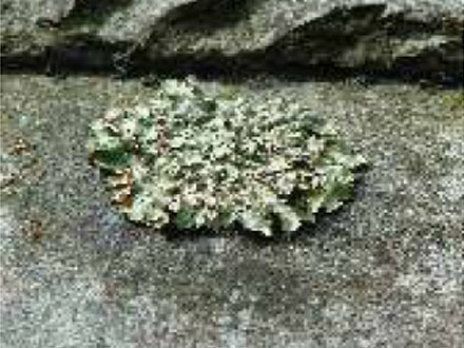 A lichen consists of 2 or more partners that live together symbiotically, with both of them benefiting from the alliance. One partner is a fungus. The other is either an alga - 90% of known lichen - commonlyTrebouxia, then Trentepohlia or a cyanobacterium - about 8%, commonly Nostoc. 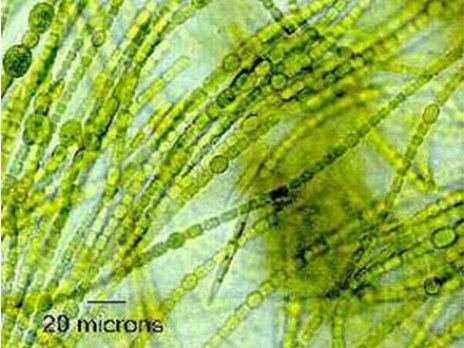 The alga or cyanobacterium is able to use sunlight to produce essential nutrients by photosynthesis that feed both partners. The fungus creates a body, called a thallus, in which they both live. 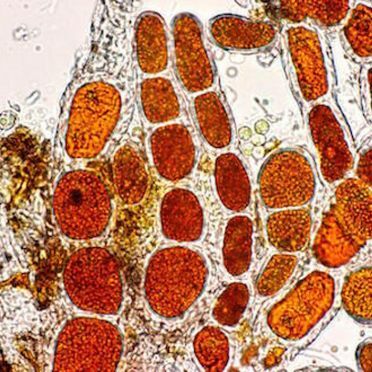 The fungus also produces chemical compounds that may act as sunscreen to protect the photosynthetic partner. 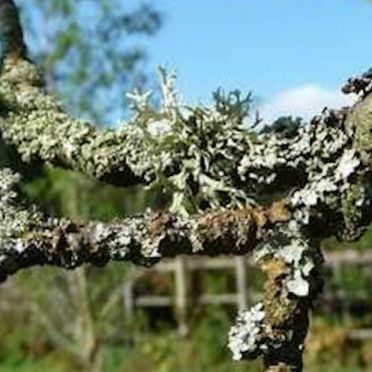 There are more than 1,700 species of lichen in the British Isles. 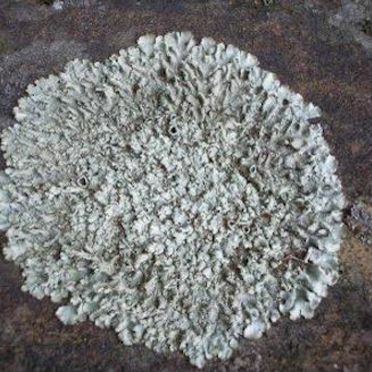 Approximately 30,000 species of lichen have been described and identified worldwide. 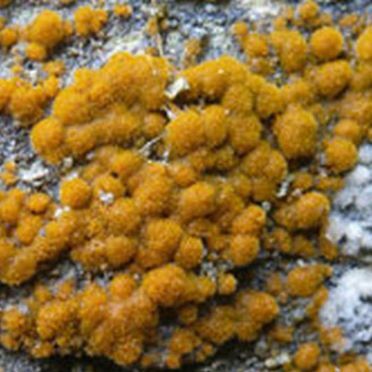 The algal partners in lichens can be found living on their own in nature, as free-living species in their own right.